Orange Blossoms - Prints - This is a very special painting I did as a collaboration with my good fr..
Orange Blossoms - Limited Edition Exclusive Collectible Enamel Pin - “Orange Blossoms” was a s..
Orange Blossom Fairy Kitten - Limited Edition Exclusive Collectible Enamel Pin - “Orange Bloss.. 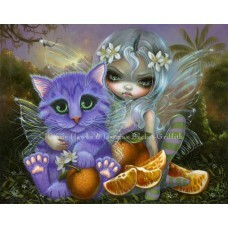 Lemon Blossom Fairy Kitten - Open Edition Collectible Enamel Pin - “Lemon Blossom Fairy Kitten..
Orange Blossoms Open Edition Canvas Prints - This is a very special painting I did as a collaboration with my good friend & fellow Florida artist Jasmine Becket- Griffith aka "Strangeling". 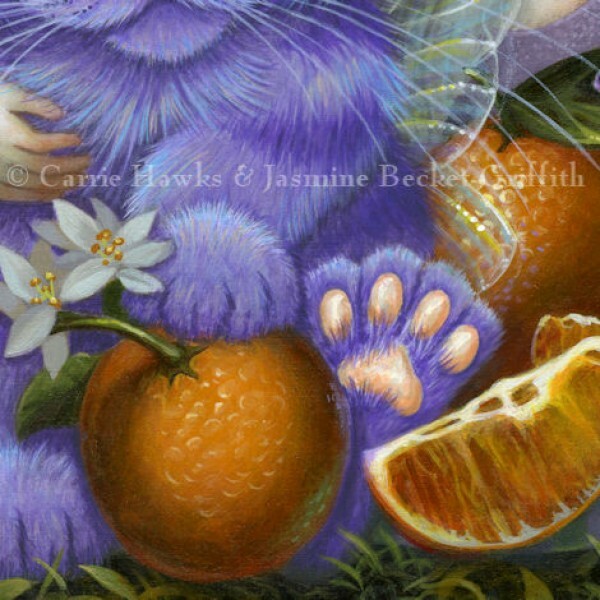 I painted the cute fairy kitten and Jasmine of course painted the beautiful fairy and other details like the oranges and the background. This painting was created specifically for the MegaCon (2018) convention in Orlando, Florida since it has such a Floridian theme. 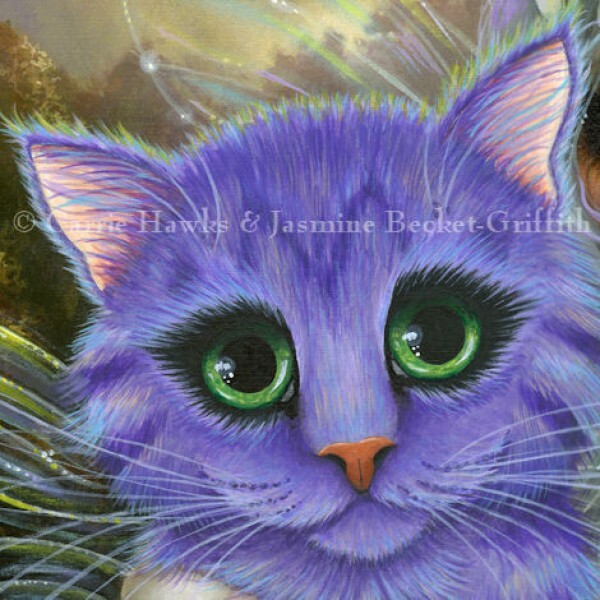 The original acrylic painting is sold, but we have prints & open edition canvases available. 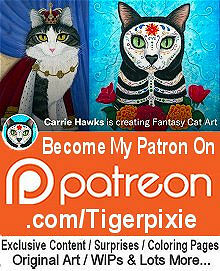 Open Edition Canvas Prints are Full color professional quality Limited Edition 11" x 14" Gallery Wrapped Glossy Giclee Canvas Print, These are Open Edition Canvaes, meaning they are not painted on by me or signed ou the front. They have the signature from the original version of the painting printed with the image. I do sign these canvases on the back & include the title and date. They really look just like the original painting! No frame is needed! The canvas has a hanger and is ready to display. How I create each canvas print; It is a 3 day process to complete one of these canvas prints. The image is printed with my professional quality giclee printer on a sheet of prepared artist's canvas. 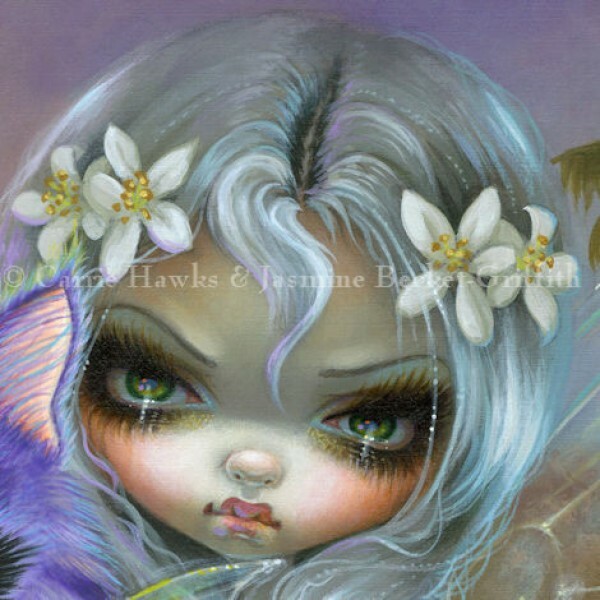 The canvas print is then hand coated and set with a UV protectant giclee varnish shield giving it a glossy finish just like the original painting. Last, the canvas is stretched onto 3/4" stretch bars with staple-free sides that are black. The back of the canvas has a sawtooth hanger and is ready to display and is signed on the back by me, the artist, including the title and date. I would also be happy to personalize the back of the canvas at your request. Orange Blossoms - Prints - This is a very special painting I did as a collaboration with my good friend & fellow Florida artist Jasmine B..
Orange Blossoms - Limited Edition Exclusive Collectible Enamel Pin - “Orange Blossoms” was a special pin created specifically for MegaCon 2018. 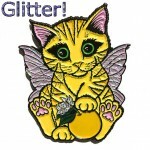 ..
Orange Blossom Fairy Kitten - Limited Edition Exclusive Collectible Enamel Pin - “Orange Blossom Fairy Kitten” with *GLITTER Wings! * was create.. Lemon Blossom Fairy Kitten - Open Edition Collectible Enamel Pin - “Lemon Blossom Fairy Kitten” with *GLITTER Wings! * was created as a variant o..